In re Seagate: Federal Circuit Overrules Long-Standing Willful Infringement Precedent, 9 HOUS. BUS. & TAX L.J. 108 (2008). 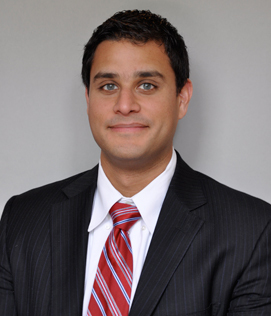 Mr. Ahmed is a senior associate at Fiala & Weaver P.L.L.C. Mr. Ahmed is a registered patent attorney whose practice involves all aspects of intellectual property law, with a focus on preparation and prosecution of U.S. and international patent applications. Mr. Ahmed’s practice has an emphasis on computer-related technologies and he has prepared and prosecuted patent applications relating to microprocessors, memories, telecommunication, distributed computing, semiconductor device fabrication, and various software applications. During law school, Mr. Ahmed served as a Notes and Comments Editor for the Houston Business and Tax Law Journal. Prior to law school, Mr. Ahmed worked in the computer industry as an ASIC Engineer. His work included design and verification for N-way Itanium-based servers and high-end system-on-a-chip RAID controllers.